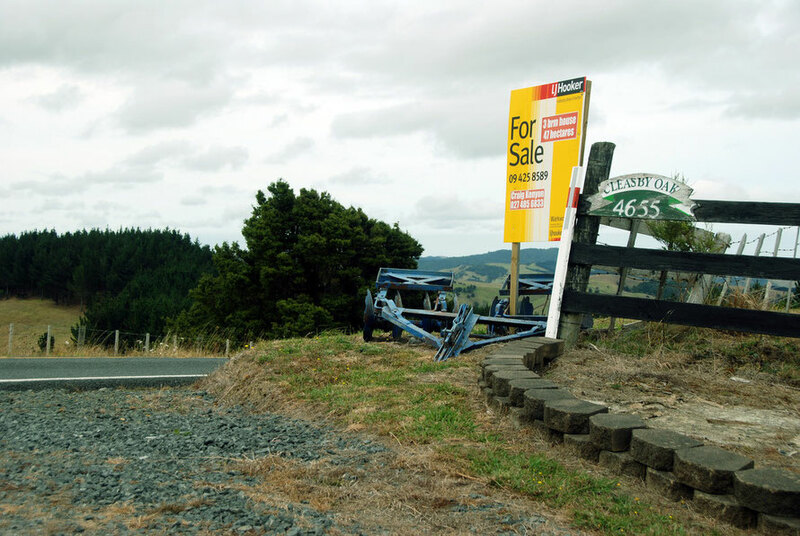 Farm for sale, north of Helensville, Auckland. 800 farmers left agriculture after the 1984 removal of subsidies and in one year 52 farmers committed suicide. The impacts of the Rogernomics has been hotly debated. A recent book, When the Farm Gates Opened: The impact of Rogernomics on rural New Zealand by Neal Wallace (Otago University Press May 2014) is a social history of the 'often very painful experiences' of New Zealand's farmers since 1984. There is a review on RadioNZ here which sees its strength in the social story it tells. There is a summary by Wallace here in the Otago Daily Times. Buller valley pasture irrigation: productivity has grown massively since 1984: the environmental costs are still being debated. Wallace contextualises what was an earthquake from a Labour administration. The previous Muldoon administration was sleepwalking the New Zealand economy to disaster and debt and the Labour government that replaced it swung the axe at farmers, who had never been a core voting group for Labour, rather than the protected industrial sector and port. The UK's accessions to the European Economic Community in 1967 - as it was then - had also compromised NZ biggest agricultural export market and things could not continue as they had. And indeed, some argue, like the reviewer and article above, that major structural changes and diversification had started well before the Lange administration body blow. In effect, the writing had been on the wall for all to see for some time and the era of big bulk markets for lamb, wool and beef was coming to a close. Into the unknown: the shock of the Rogernomics' removal of NZ$1bn of producer subsidies has been long and painful and to a lesser extent transformative. 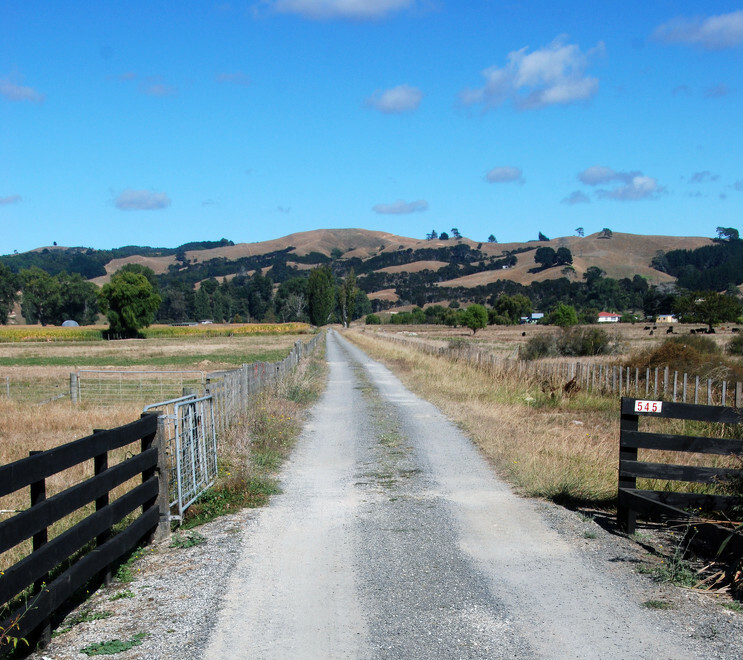 Farmtrack near Miranda on the Firth of Thames, Waikato. Unsold lamb had to be rendered; butter was exchanged for Russian-made Lada cars and mutton swapped for Iranian oil and Polish mining equipment. Shock treatment never visited on the other sectors (that has left a bitter legacy) resulted in the withdrawal of NZ$1bn of agricultural subsidies practically overnight. Added to this were drought and cyclones in 1985 that multiplied the impacts of the state's retreat, big interest rate hikes and a 30% slump in land prices. Bush clearance on the Milford road. Milk fat solids per hectare are up from 653kg to 1028kg in 21 years. 800 farmers left the industry and in 1986 8-9000 farms were said to be in serious financial difficulty. Those with big debts on their land suffered the most and banks and politicians had to run to prevent a tsunami of bankruptcy and land price collapse: some assistance became available to manage farmers out of their farms. Suicides spiked with 52 farmers killing themselves in a year. For farming, the economic freedom and exposure to markets has created a much more productive industry, allowed the adoption of technology that reduces the use of insecticides and pesticides, better crop and pasture species and a much more efficient business. Diversification into wine, fruit and horticulture followed the 1984 market liberalisation shock. 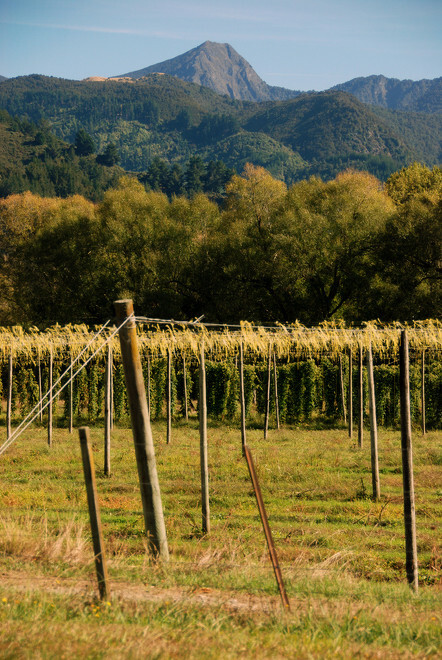 Hop fields in the Upper Motueka Valley, Tasman. Without seeing the evidence that seems a bit rosy to me. 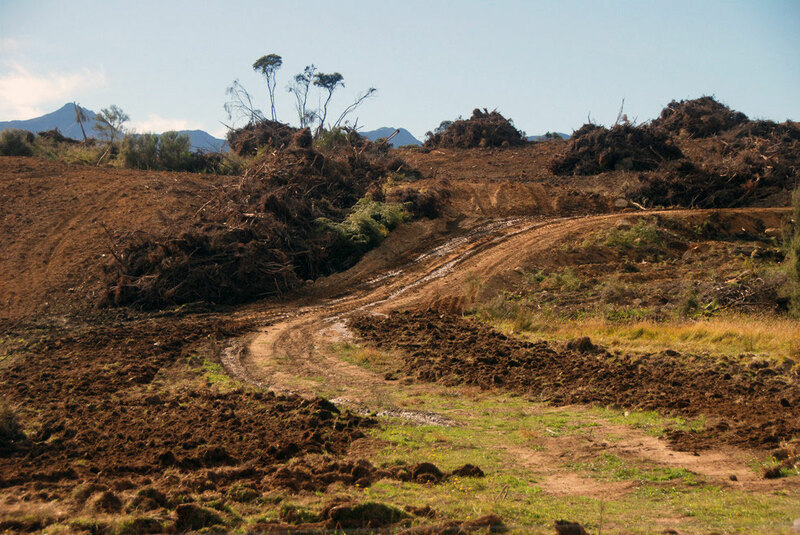 All this was achieved at great social cost and with a significant impact on the environment. 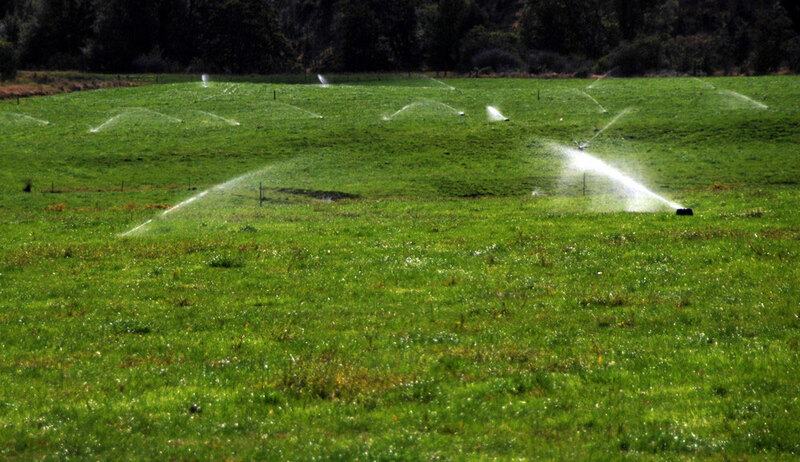 In many respects New Zealand agriculture is now different from that in 1984. Some sectors, such as dairying have grown and become increasingly industrialised. On the other hand, sheep farming, particularly for wool, has struggled to maintain its market share, while other enterprises have emerged [horticulture, viticulture and fruit] as significant sources of income (see Smith, W. and Montgomery, H. (2004) Revolution or evolution? New Zealand agriculture since 1984, GeoJournal, Vol. 59, No. 2, p.107). All this has occurred in an environment where the risks associated with farming have increased, while the safety net that the Government once provided has disappeared (ibid p.117). They conclude that farmers are more exposed and work longer hours in an industry with higher productivity than before (dairy cows produce 20% more milk-fat and lamb carcase weights are up 13%) but global competition has meant that individual producers have not have not been able to raise the share of income they take from agricultural production (see ibid p.117). Farmer attitudes have changed and 'the spirit of free entrepreneurship seems to be strong and pervasive in the farming community today' according to an OECD visit in 2011 see OECD NZ Agri Risk Management p.9). Since 1984 dairy products have become more significant in the make up of agricultural exports (up from 12% to 22% of the total whilst wool fell from 17% to 5%). There has also been a shift to higher-value products - from frozen carcases to chilled select cuts and from beef to veal. Wine exports (50% to the UK) have massively increased as have horticultural products (see p.115). Markets have also changed. The UK is less important but still leads for lamb exports. The US takes the majority of beef. But Asian markets are increasingly important for dairy products and the recent drop in dried milk prices is attributed to stockpiling by the Chinese. This could lead to a massive NZ$4.3bn drop in incomes to dairy farms compared to 2013 (see NZHerald).